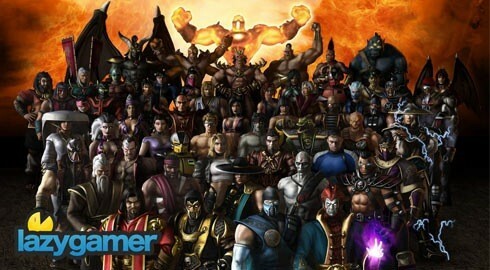 Fans of the Mortal Kombat series, whose favorite characters are not included in the games standard 28 playable character roster, will be happy to hear that the first wave of downloadable combatants have been confirmed. While there are rumors about, that MK2 sub-boss Kintaro might be another character in the works, nothing has been confirmed as of yet. Netherrealm has however suggested that they will continue to work on DLC for the reboot “as long as people are playing it”. * â€œThe lady in redâ€ aptly named Scarlett by MK fans, was rumored to be a secret character in MK2, appearing briefly in Khans arena. The rumor was later debunked and said to be a coding glitch based on Kitana.